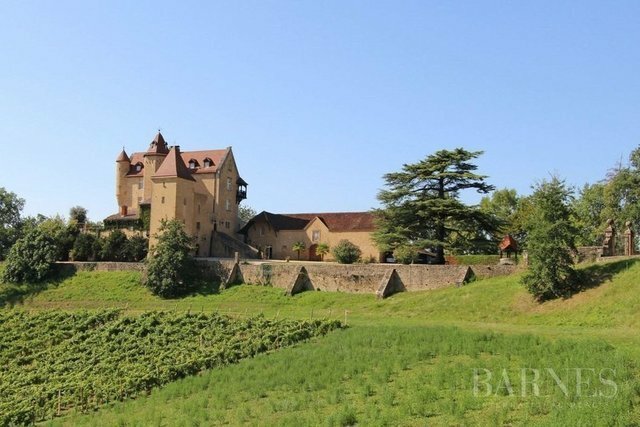 Near the madiran wine growing area,a magnificent and emblematique fortified castle of the region in perfect state of repair with 750 m² habitable space. ;many original features in the 3 reception rooms, fully equipped kitchen,laudry room,snooker room with bar,7 bedrooms and 6 bathrooms. Guest house with kitchen/dining room, office,3 bedrooms and a bathroom.Winery and cellars, wine tasting room 60 m².3 horse stalls,pigeon house and swimming pool (12X5); nearly 35 acres of Woodland and meadows and a small vineyard. Perfect peace and quiet in lovely countryside, (views of the Pyrenees) and 45 minutes drive to Pau Airport.